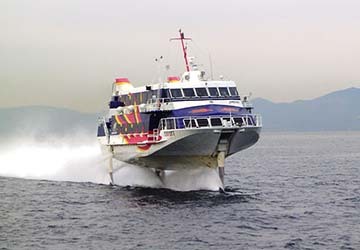 The Anbo Nishinoomote ferry route connects Yakushima with Tanegashima. 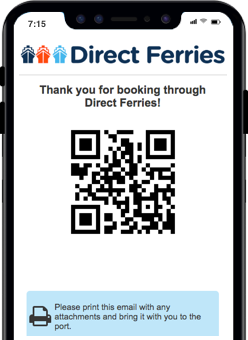 Currently there is just the 1 ferry company operating this ferry service, Tane Yaku Jetfoil. The crossing operates up to 7 times each week with sailing durations from around 50 minutes. Anbo Nishinoomote sailing durations and frequency may vary from season to season so we’d advise doing a live check to get the most up to date information. The Port of Anbo is on the east coast of the Japanese island of Yakushima, located in Kagoshima Prefecture. There are a number of ways to explore the magnificent island, both by land and by water. One of the best ways to take in what Yakushima has to offer is to drive around the perimeter of the island. The west coast offers stunning scenery with beautiful mountainous cliffs and slopes. To explore the Anbo River and the some other of the island’s spectacular sights, kayak rental is available from near the terminal. Anbo is also a great starting point for excursions to the Jomonsugi tree and Miyanoura Mountain. With the stunning cedar forests, waterfalls and beaches, there are some unique wildlife opportunities for visitors to look out for. On nature walks there is the chance to see the Yakushima deer and monkeys and in certain months, turtles, as they lay their eggs on the west coast beaches. A large part of Yakushima is made up by a UNESCO Heritage Site and you can see why. Regular bus services operate on the island with hourly buses travelling routes around the perimeter of the island. There are also less frequent buses that travel to destinations in the centre of Yakushima. Anbo is one of the main gateways to the island, with frequent high speed ferries connecting Yakushima with Nishinoomote to the east and Kagoshima to the north. There are daily connections with the trip to Nishinoomote taking under an hour and around two hours to Kagoshima.